Offering free local calls, Hotel 81 Princess located in Singapore’s bustling Geylang District, a 10-minute walk from Aljunied MRT (subway) Station. It offers rooms with free wired internet. Hotel 81 Princess is a 15-minute drive from the central business district. A 20-minute drive brings guests to Changi International Airport. Rooms at Princess Hotel 81 feature private bathrooms with bathtubs and hairdryers. An IDD telephone and TV with satellite channels are provided. Guests of Hotel 81 can make travel arrangements at the tour desk. 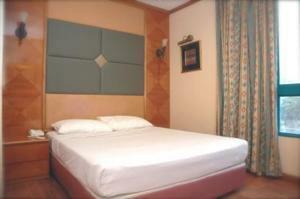 The hotel also offers laundry, fax/photocopying services and a 24-hour front desk. Guests can savor local delights and soak up the Singaporean culture in the streets surrounding the hotel. Rooms: Hotel Rooms: 133, Hotel Chain: Hotel 81. Public parking is possible at a location nearby (reservation is not needed) and charges apply. There is extra beds/baby beds in a room is 0 capacity for extra beds/cots in the room. American Express, Visa, Euro/Mastercard, Diners Club, JCB, UnionPay debit card, UnionPay credit card The hotel reserves the right to pre-authorize credit cards prior to arrival.